10-Minute Tutorials are simple “Hello, World!” technical documents to help you get hands-on with AWS. Use these self-service step-by-step guides to build and launch your first project with AWS. Check the Free Tier terms to stay within your limits. Optimize your costs for both variable and stable workloads. 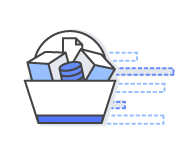 Set up billing alerts and other notifications for your metrics with Amazon Cloudwatch. Use this calculator to compare the cost of running your applications in an on-premises or traditional hosting environment to AWS. Documentation on each web service, including a Getting Started Guide, product information, and a detailed API reference. 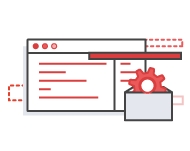 This index highlights the primary SDKs, IDE Toolkits, and Command Line Tools for developing and managing your AWS applications. A comprehensive list of technical AWS whitepapers, covering topics such as architecture, security and economics. Resources to develop the skills to design, deploy, and operate infrastructure and applications on the AWS cloud. Discuss your project with our sales team. Work with a certified AWS Partner to solve for your cloud-based needs.